Afrino are a fine wool, dual-purpose sheep. During the late 1960s, a request was made to the Department of Agriculture by the wool industry, via the South African Agricultural Union, to develop a white-wooled breed for extensive sheep grazing areas. 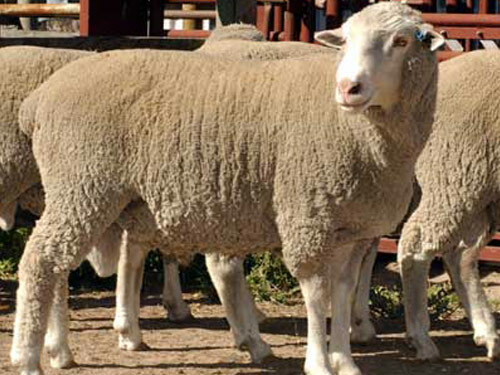 In 1976, it was evident that the crossing of 25 percent Merino, 25 percent Ronderib Afrikaner, and 50 percent South African Mutton Merino best fulfilled the requirements set for the new breed. It was decided to retain only this cross for further upgrading and development of the breed known today as the Afrino. Eighty percent of the income from Afrino sheep is generated through meat production and 20 percent through wool production. The Afrino produces Merino-type wool, with a fiber diameter ranging from 19 to 22 microns.